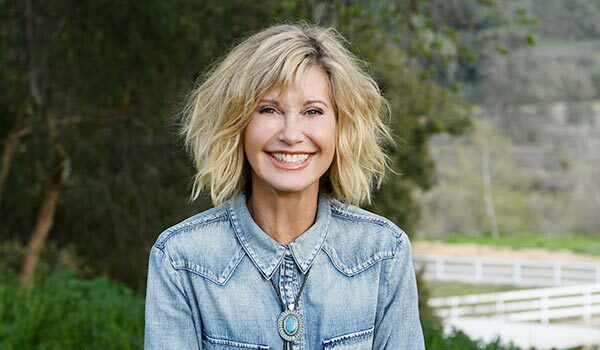 Olivia Newton-John in Conversation – Live on Stage – Spotlight Report "The Best Entertainment Website in Oz"
Olivia Newton-John has accepted an invitation to appear in live events on stage in Sydney and Melbourne in September, in conversation with Ray Martin. Long before Sandy appeared in her spandex jeans to wow Danny (and the entire world) in Grease, Olivia Newton-John was already one of Australia’s most beloved and successful entertainers. Then along came Xanadu, with success after success, establishing one of the world’s most enduring and endearing stars. Her advocacy work for humanitarian and health issues, especially the Olivia Newton-John Cancer and Wellness Centre, is renowned. For more than five decades Olivia Newton-John has been one of our most successful and adored entertainers. A four-time Grammy Award winner, she is one of the world’s best-selling recording artists of all time, with more than 100 million albums sold. Olivia Newton-John In Conversation with Ray Martin will be held in Sydney on Tuesday 11 September at the State Theatre, and in Melbourne on Friday 14 September at Her Majesty’s Theatre. Please note, this is a live interview format event – Olivia will not be singing during the evenings. To be offered the first pre-sale tickets register at lateralevents.com – presales begin at 11am Thursday 9 August. General public tickets will be available from Ticketmaster (Sydney) and Ticketek (Melbourne) on Monday 13 August at 10am.